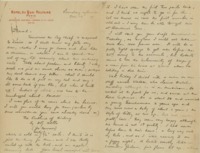 Netherlands-born Bouman was an author and journalist who covered World War I for the Associated Press in Europe. 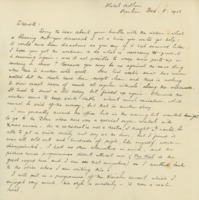 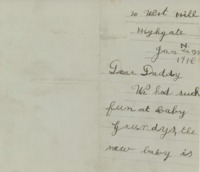 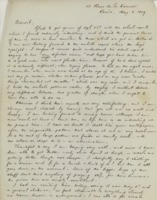 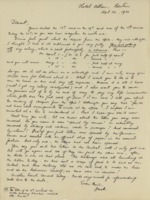 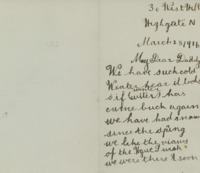 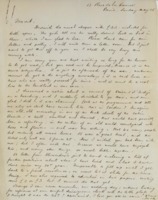 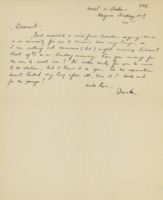 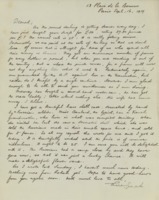 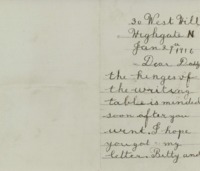 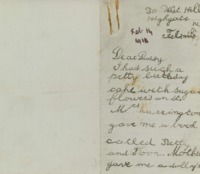 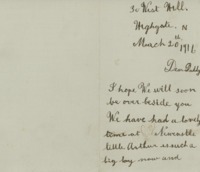 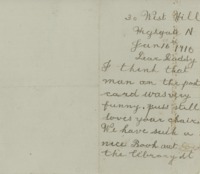 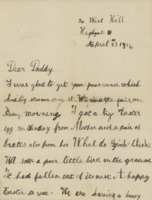 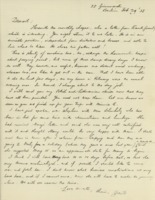 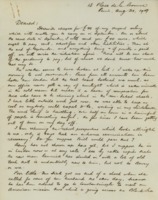 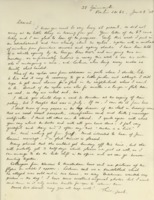 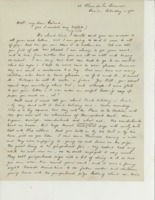 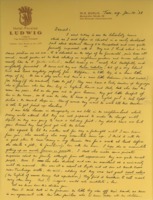 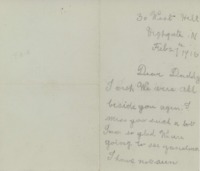 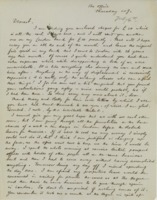 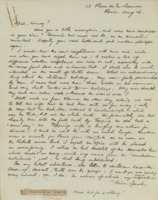 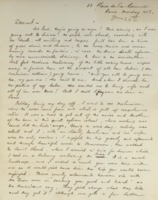 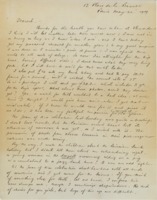 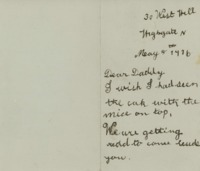 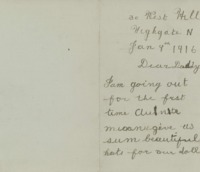 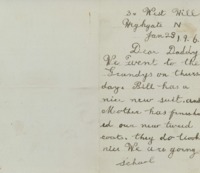 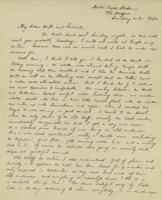 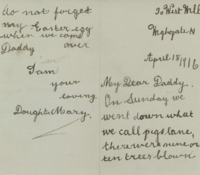 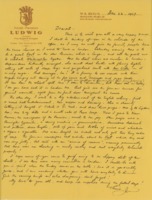 This collection is comprised of letters exchanged with his family. 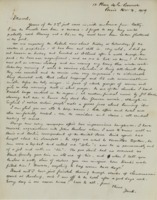 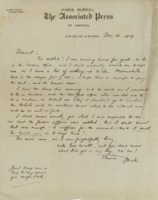 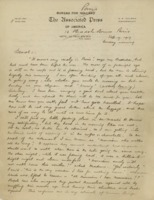 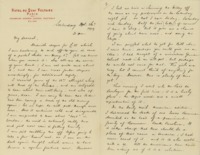 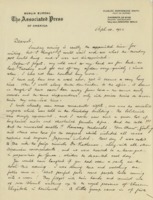 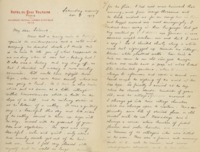 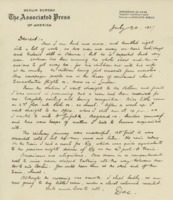 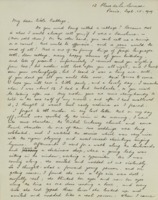 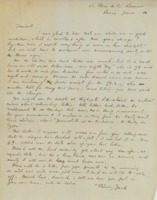 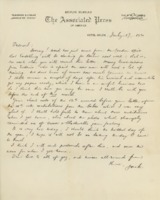 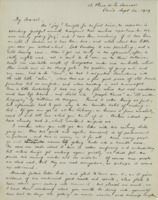 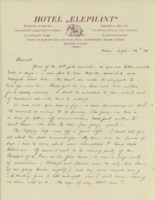 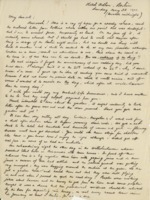 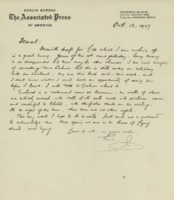 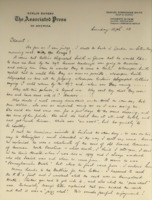 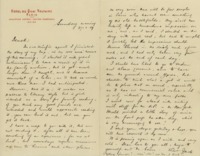 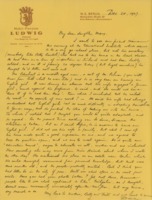 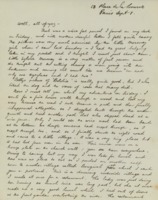 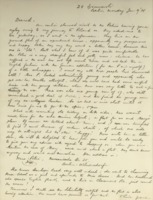 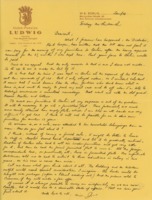 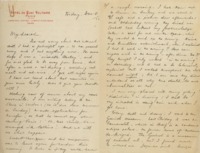 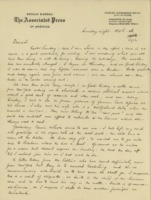 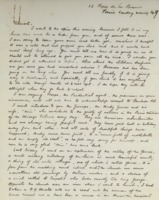 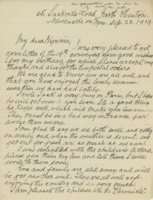 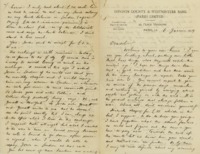 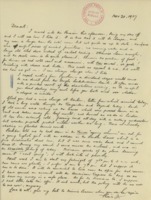 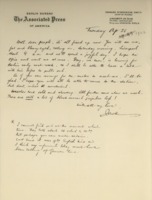 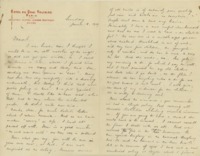 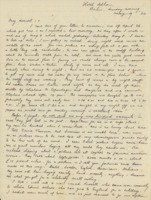 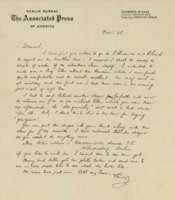 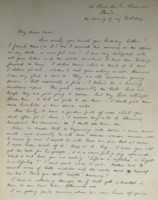 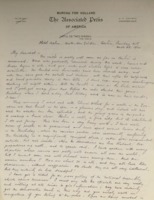 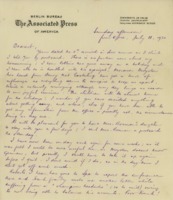 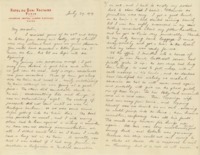 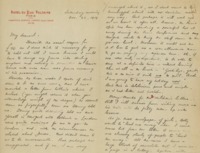 Donated by his granddaughter Evelina Suhler and her husband William in 2013, these letters written by Jon Anthony Bouman – an Associated Press Correspondent – to his wife Ethelwyne Bouman detail life in France during Woodrow Wilson’s attendance at the Paris Peace Conference. 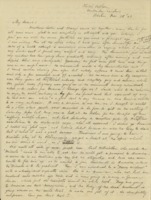 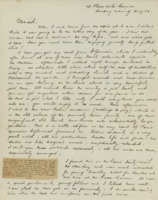 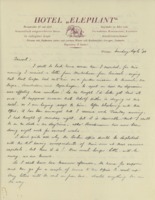 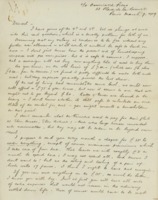 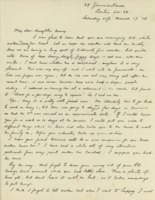 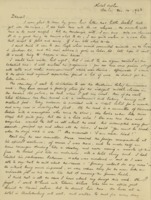 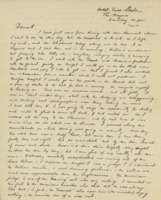 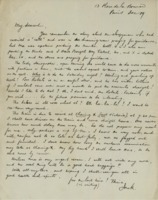 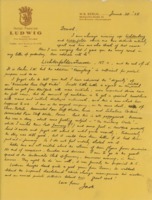 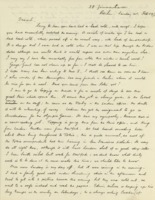 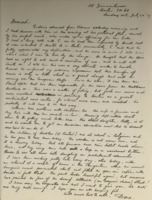 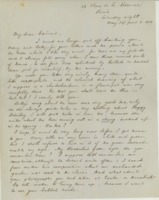 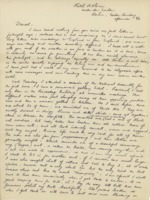 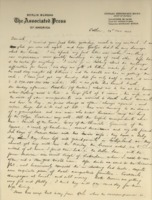 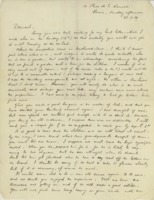 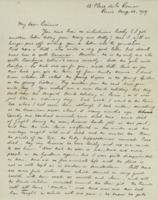 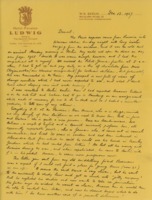 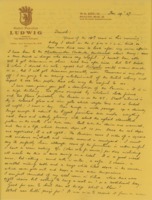 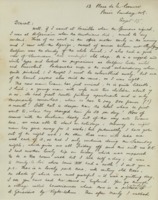 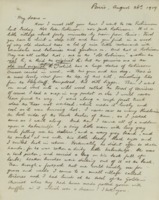 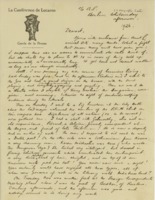 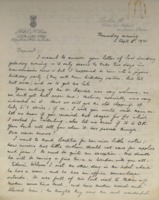 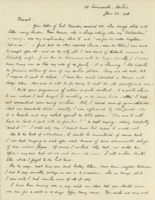 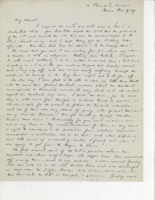 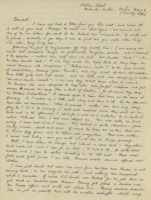 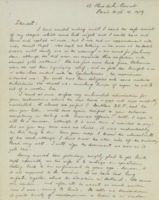 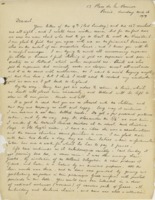 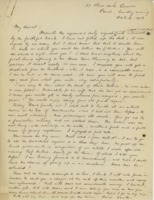 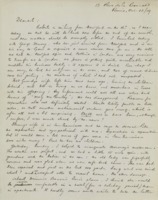 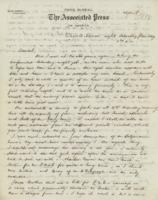 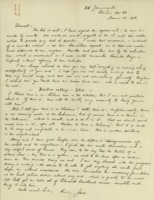 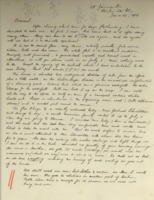 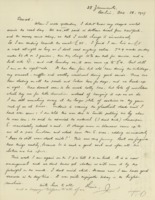 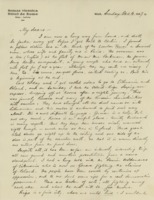 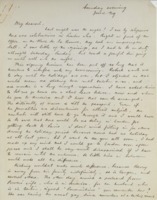 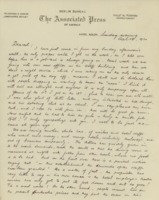 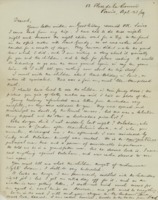 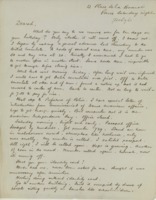 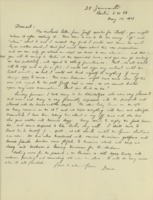 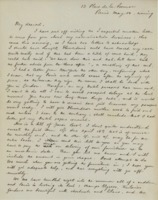 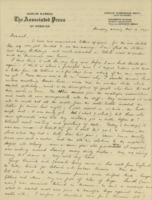 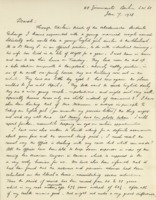 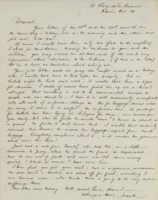 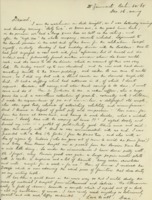 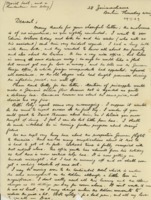 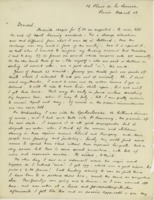 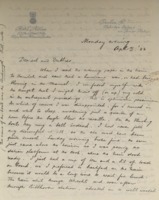 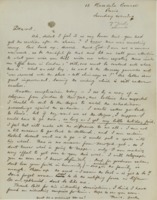 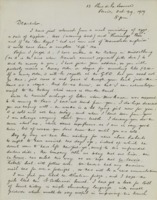 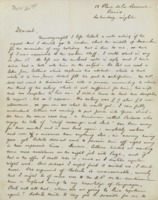 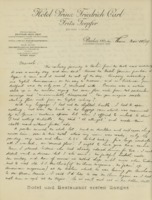 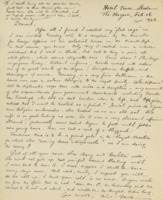 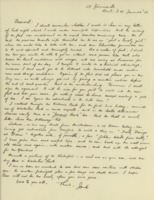 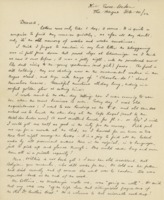 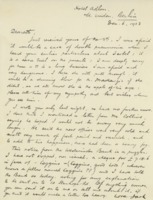 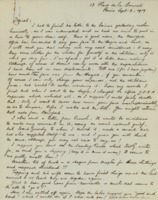 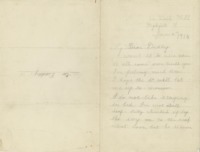 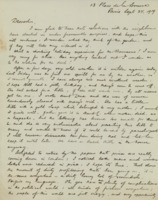 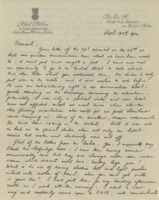 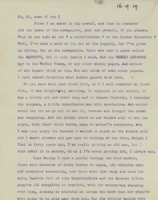 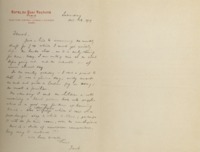 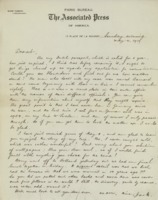 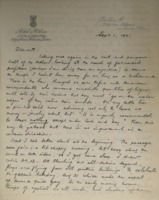 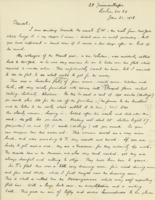 Most of the letters include commentary on sightings of Wilson around Paris and his movements before, during, and after the conference in addition to sociological notes such as food shortages and inflation occurring in Paris and throughout other parts of France. 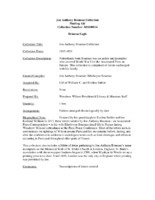 This collection also includes a folder of items pertaining to Jon Anthony Bouman’s name inscription on the Memorial Wall of St. 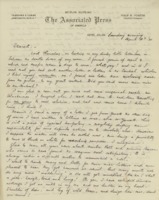 Brides Church in London, England. 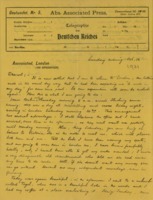 St. Bride's association with the newspaper business began in 1500, when Wynkyn de Worde set up a printing press next door. 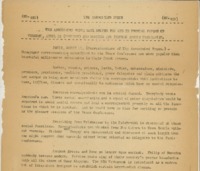 Until 1695, London was the only city in England where printing was permitted by law. 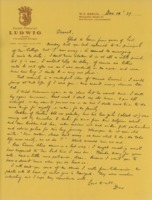 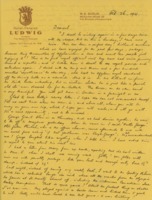 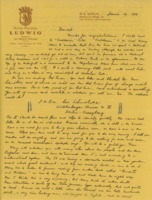 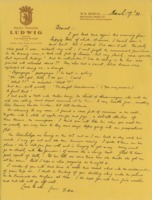 Original letters, occasionally with postcards, newspaper clippings, or concert programs attached.